This is a condition which is normally a condition of present times. It is very common among people of young age as well as those who are office going people. 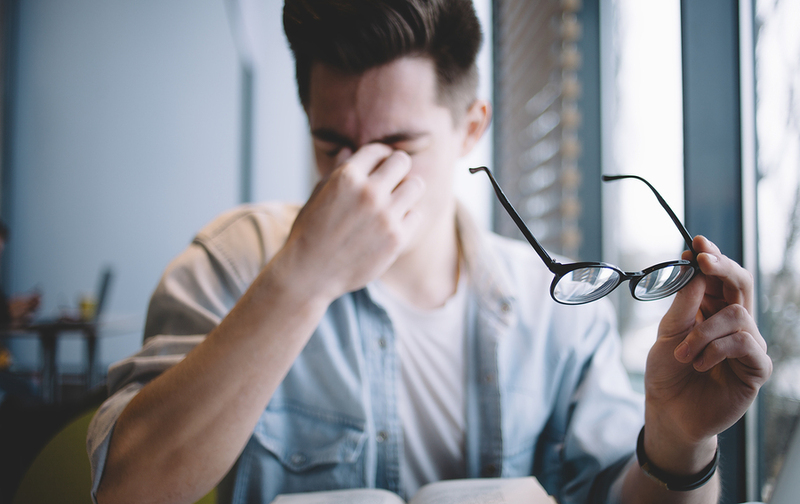 Eye muscle pain is a condition in which the muscles around, under and behind the eye experience severe pain giving the patient extreme exhausted look. It is a condition which brings quite a long list of symptoms. Each sign begins to appear a few days before the actual painful day. Eye muscle strain is itself a symptom of some other disorders related to injuries, infection, etc. In case of noticing these symptoms, one must take immediate notice. Eye muscle pain is a condition which has one very basic cause and that is excessive use of digital screens. Although it is the time where working for long hours, glued in front of a digital screen is the demand of a job but this is equally harmful. Too much focus on the screen and not blinking at all causes dryness in eyes and makes your eye muscles tired. The rays that emit from these screens very easily make their way to your eyes. Those people who use digital screens a lot are at a higher risk to become patients of eye muscle pain. Eye muscle strain is a condition which can be treated with both home remedies as well as medical consultancy. Eye massage: Gently massage your eyes for three to five minutes. Rub your eyelids and muscles above eyebrows. Do this practice few times every day. This provides instant relief. Warm palms: First, rub your palms together and generate some heat. Place your palm on eyes and let the rest for a minute or two. Repeat it twice or thrice. Splash cold water: Splashing cold water on your eyes helps improve blood circulation and relax tired eyes. Do these few times each day and you will notice your eyes freshen up. Blink: While working in front of digital screens you forget to blink. This causes dry eyes and effects visual functions. Remind yourself to blink during work. This will keep your eyes lubricated and your muscles will remain easy. Adjust the lightening: Avoid working in dim lights. Make sure you work in very well lit room. 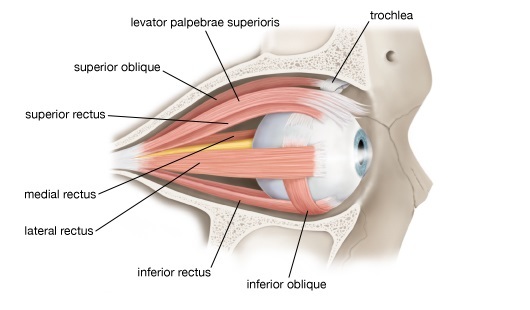 Strengthen your eye muscles: This is a very simple exercise. Close your eyes through half way. Now let your upper eye lid be on its own and observe the trembling. Do this quite a few times and this will make your eye muscles strong. Iris has so far achieved a good number of trusted customers and followers. It makes sure not to let them down and give hundred percent attention to eye health. Iris is a name of a software that runs with a notion to block all the disastrous rays emitting from the screen of your laptop, computers and smartphones. Since working in front of digital screens has now become an obligation, therefore Iris has found a way to make it a secure experience. It is time to reduce the cases of eye muscle pain and bring relief to your eyes. Iris makes a promise of keeping your eyes unaffected from blue rays and only let those lights reach you which cause no harm. With Iris, eye muscle pain remains a fantasy only.